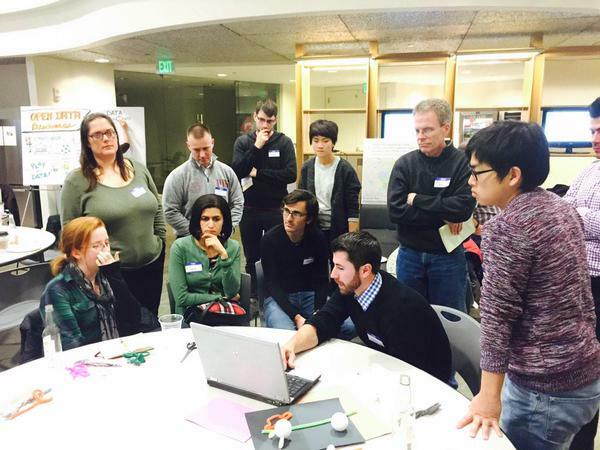 Metro Developer Coffee Chats a Success! Thank You Developers! Metro’s commitment to developers was well received following our informal “Coffee Chat” event designed to foster connections between and among Metro and the developer community. Wednesday, Metro set aside some time for Developer Coffee Chats to enable dialogue between Metro’s API users and other developers. The informal event proved successful, with numerous developers taking advantage of the resources available to them (provided both by Metro and by their developer peers). Although several topics were discussed, the clear focal point was Metro’s Real-Time Train Position API, released last week through the General Manager’s CARe Initiative. 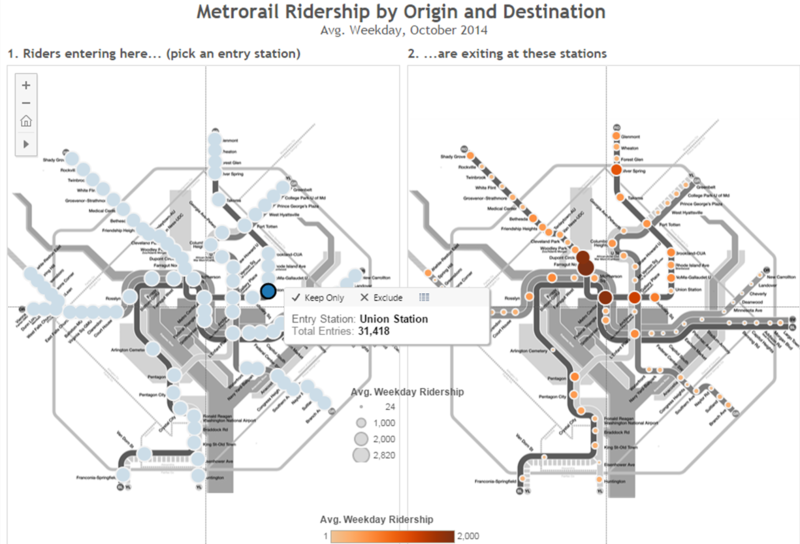 Are You a Metro Data User? Let’s Talk! Metro is committed to working with the developer community – we’ve launched a real-time train position API, are hosting developer coffee chats this Wednesday (7/27) from 4pm to 6pm, created a developer google group, and are seeking submissions for an App Gallery! If you frequently monitor Metro news, you’ll have already seen some of Metro’s latest developments regarding the commitment to open data and third-party developers. Most notably, Metro last week released a real-time train position API, making it possible to identify the specific locations of trains in the system at a given time. 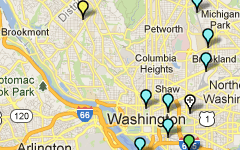 Screen capture of Metro’s internal real-time train positions map. Now, third-party developers can make their own versions of this using a recently released data feed. 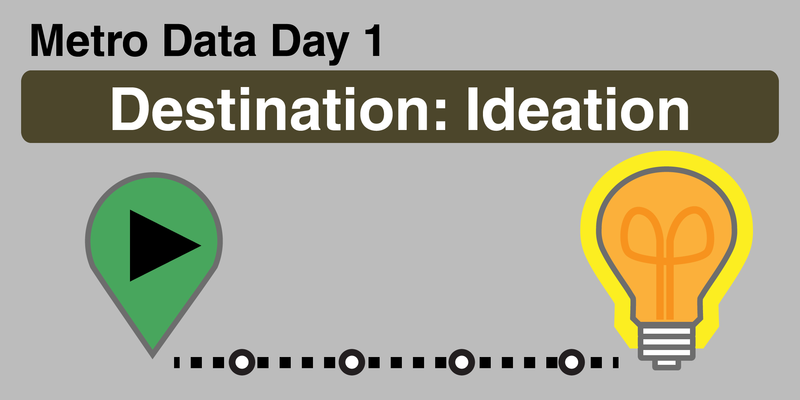 We can’t wait to see what you do with the data. But we know you’ll have questions. That’s why we’re hosting an informal “Coffee Chat” this Wednesday, July 27, at Compass Coffee on F Street (near the Gallery Place-Chinatown station and 70/74/D6 buses). Stop by any time from 4pm to 6pm to say hello, show us something on your computer, or ask us questions! Two other notable updates, Metro now has created a google group to serve as the intra-developer community forum and will be launching an “App Gallery” to showcase apps available for the Metro system. Metrorail riders get excited; the 2016 Travel Trends Rail Passenger Survey is here! If you haven’t noticed all the orange in the stations yet (surveyors in orange Metro bibs handing out orange surveys, offering orange Travel Trends pens to fill them out), keep an eye out! Throughout April and May of 2016, WMATA (Metro) will be conducting the Travel Trends survey on a rolling basis throughout the system, to cover all 91 stations. Determine jurisdictional transit subsidy allocations. Improve our service and validate our internal systems. Your answers to the survey contribute to the data used to support operating and planning activities—it provides us with greater insight into how we can best match service to fit the overall needs of our customers using the system. 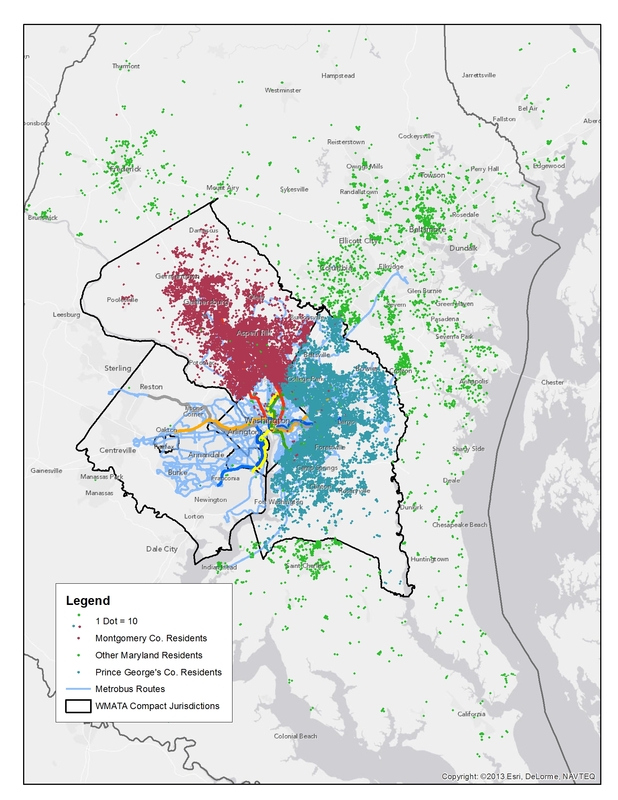 Metro is coordinating with other regional agencies to release a single data file that will contain schedule data for all transit operators in the Washington DC Metropolitan Area. 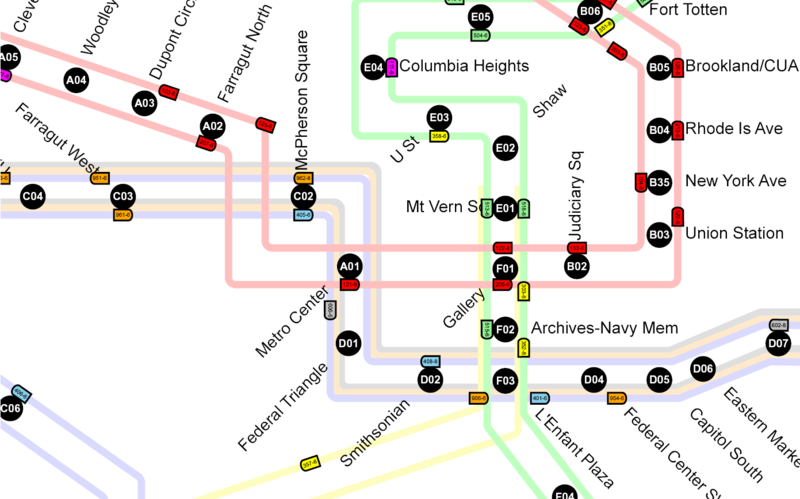 Over 10 years ago, Metro began coordinating with local bus operators and commuter rail agencies to incorporate all of their transit schedules into wmata.com Trip Planner. 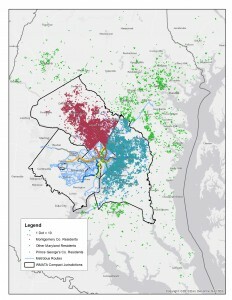 It took some time and effort, but eventually Metro reached agreements with all the operators in the region and began to consolidate transit schedules in one online, searchable data source. In fact, Metro’s Trip Planner is the most comprehensive online data source for regional transit trip planning. So much so, that when the Transportation Planning Board (TPB) needs to update their four-step travel demand model they request all of the region’s transit schedules from Metro and we deliver them as a General Transit Feed Specification (GTFS) file. Sites and app developers can load one data file for all the region’s transit instead of downloading separate files for each agency. Only some agencies in the region publish their own GTFS files, and releasing this file will make several agencies’ schedule data available online for the first time. Over the past two years, Metro staff have worked to negotiate the release of this GTFS file. We were pleased reach out to the other regional operators in July requesting sign-off on a regional data-sharing agreement that would permit Metro to release the other agencies’ data online in this GTFS format. We are excitedly awaiting executed agreements from the operators, and we’ve received one back already, thanks RideOn! Once we have received a few more replies, we will begin to publish a regional file including the data of all agencies that have executed the agreement. In the meantime, feel free to contact your local bus, commuter bus or commuter rail operator and ask that they expedite the signing of this regional transit schedule data sharing agreement. Where Are Those Rail Riders Going? Ever wonder where rail riders are going to and from? Here’s a map that shows you. “What are the destinations of riders at Station X?” It’s a question we get often here. Well, using October 2014 rail ridership data by origin and destination, it’s pretty easy to answer that question – click below for an interactive map.